Use the links on the left to choose your specific M3 Server Model. Not all disk drives and memory modules fit in all M3 server models. 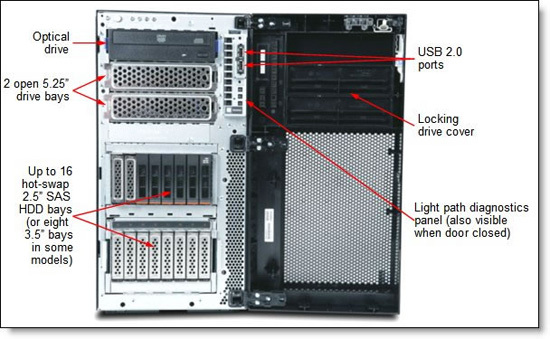 x3200 M3 Servers - A mix of SAS and SATA drives is not supported by x3200 M3 server. A four-digit feature code is used to specify a component that is configurable in the IBM configurators, the eBusiness Configurator (eConfig) and the IBM Web-based Hardware Configurator, used in US and Canada. 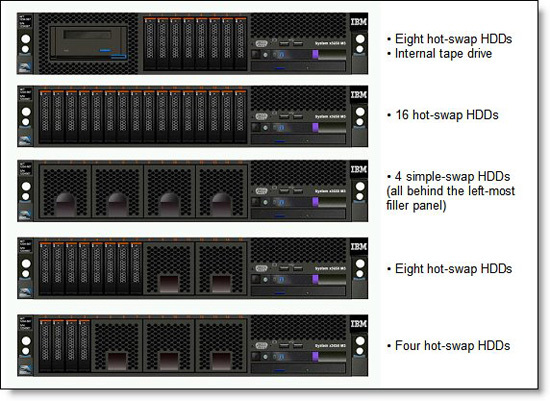 Options that do not have feature codes cannot be integrated by IBM into a system using these IBM configurators. To purchase options separately, refer to the option part number. In stock drives can be chosen by Capacity/Interface/Form-Factor or by the IBM Option Part Number using the left sidebar. In stock IBM Replacement Part CRU / FRU's and Feature Codes can be found in the right sidebar. In stock drives can ship the same day ordered. 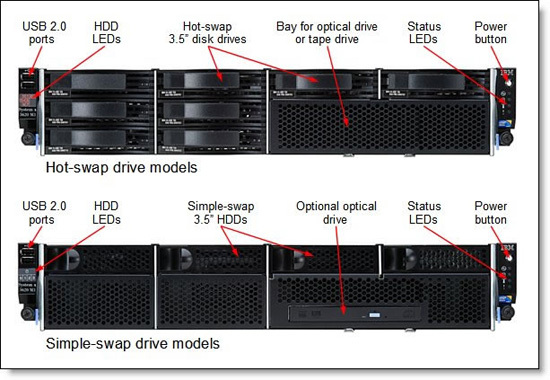 IBM disk drives not currently shown in stock can be shipped within a three to five (3-5) days. The following table lists the external storage systems that are supported by the xServer M3 Series. These servers may support other IBM disk systems and third party syatems that are not listed in this table. Refer to IBM System Storage Interoperability Center for further information, or contact us for IBM Disk Storage System configuration and ordering assistance. If you need additional configuration, ordering assistance, or integration assistance, please call 888-878-4167 or submit a Quotation with any additional questions. IBM M3 series servers are no longer orderable through IBM. Contact us if you need upgrades or custom built servers from our inventory of spare parts.